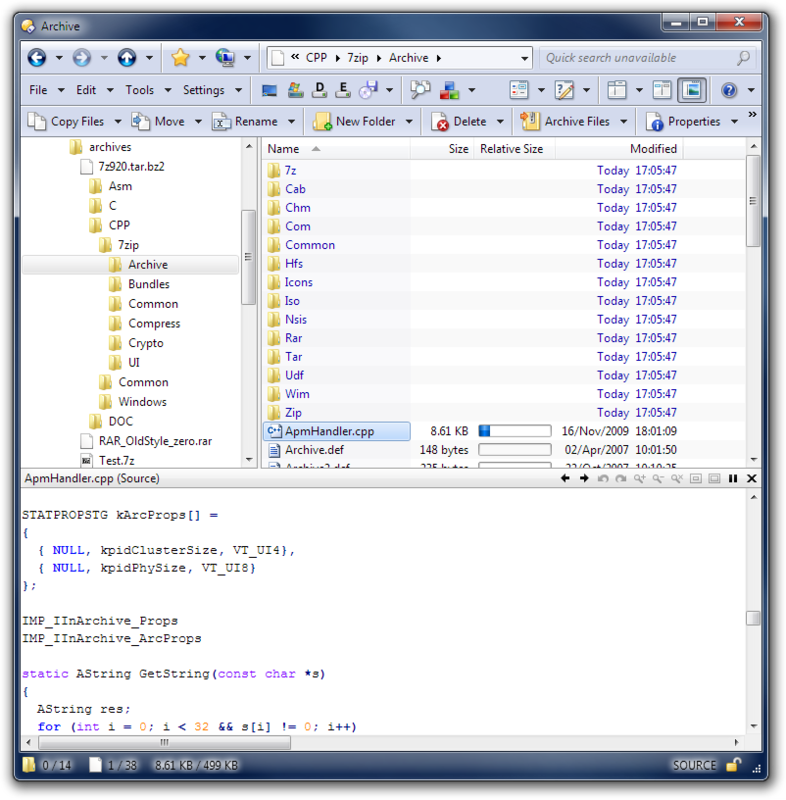 This plugin for Directory Opus allows you to treat various archive types as folders. 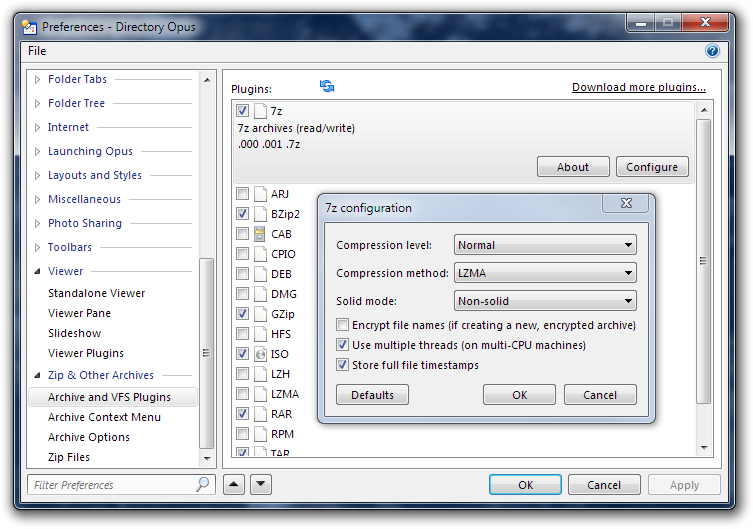 Directory Opus has built-in support for Zip files, including features such as AES encryption, >2GB archives, Unicode names, NTFS timestamps, self-extracting archives. This plugin, which is bundled with Directory Opus 10, adds support for various other archive/compression formats, listed below. With the exception of modifying RAR archives, no additional tools are required to work with these formats within Opus. Some of the formats are disabled by default. Some can be configured in various ways. See Preferences / Zip & Other Archives / Archive and VFS Plugins within Opus. 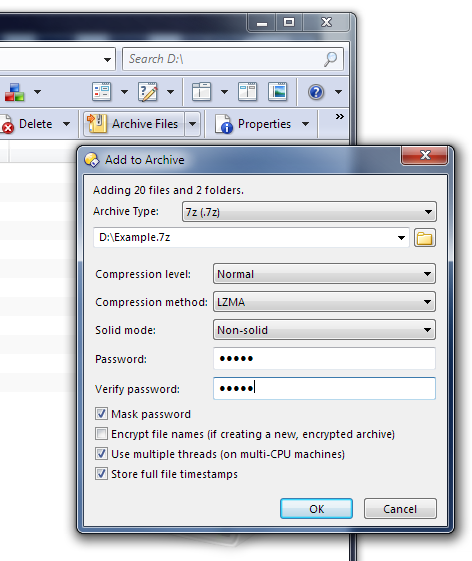 The plugin uses parts of Igor Pavlov's 7-Zip licensed under the GNU LGPL and available, with source, from www.7-zip.org. You do not need to install 7-Zip to use the plugin. Only 7z.dll is required and it is automatically installed alongside the plugin. 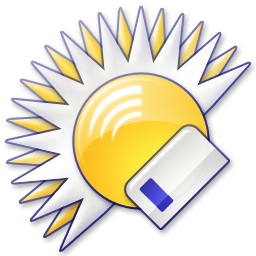 The plugin is packaged as part of Directory Opus itself but you may sometimes find a newer version here between Opus updates. There is no version of the plugin for older versions of Directory Opus. Opus 10 brought with it extensive improvements to the VFS plugin architecture which the plugin depends on. Use Preferences to configure default archive parameters and which archive types are offered via context menus. WinRAR is used for modifying RAR archive. Normally it is found automatically, if available. There is special support for portable installs. The plugin fully integrates into the Opus user-interface. Viewing a file within a .TAR.BZ2 archive. Note that the archive is opened as a single unit, not a TAR file inside a BZ2 file. 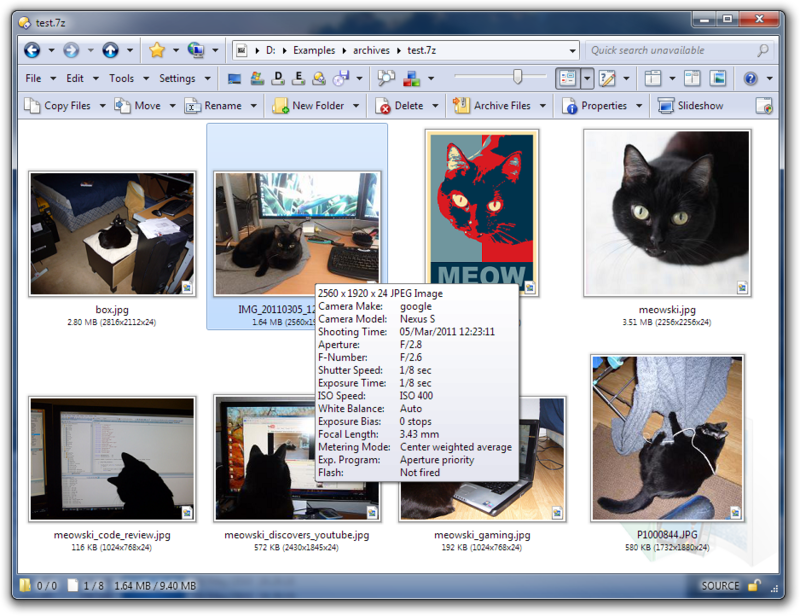 Viewing image thumbnails and metadata within a 7z archive. Adding files to a RAR archive. 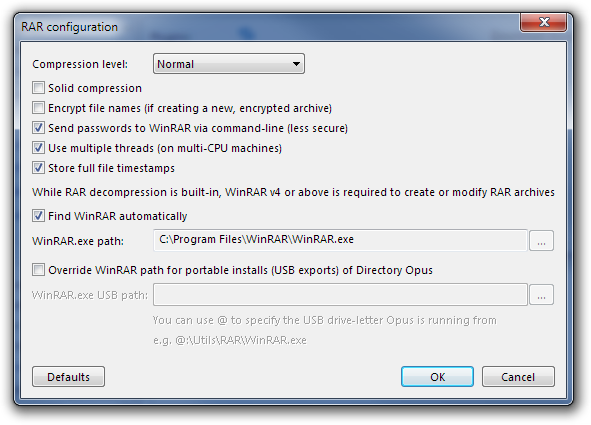 While WinRAR is used for this, the Opus look & feel is largely maintained. Special thumbnails for Comic Book Archive formats (cbz, cbr, cb7). It is now possible to add and remove file extensions to different archive types. Comes with Directory Opus 12.3.4. Fixed incorrect handling of renaming items to the same name but with a different case within 7z and Rar files. Support for .xz and .tar.xz / .txz archives. Now reports copy speed during batch extract. Now suppresses thumbnails and most metadata for video files, to avoid typically large files being extracted to temp for the data. Now disables ISO handling by default, to avoid getting in the way of the ISO mounting built in to newer versions of Windows or similar tools (and because it could only handle certain ISO types). Comes with Directory Opus 11.14 - 11.16. Comes with Directory Opus 11.10. Comes with Directory Opus 11.7. Option to support reading RAR 5 archives by using UnRAR.dll instead of 7z.dll to extract them. Option to create RAR 5 archives. Comes with Directory Opus 11.0. Copies to and from plugin archives now preserve or ignore file and folder timestamps respecting the full set of possible overrides. Comes with Directory Opus 10.2.0.2. If you did a Copy-As from an archive and the new name you gave for a file was already in use, the Replace File dialog opened proposing the file's original name, meaning you had to type the new name again if you wanted to overwrite the file. The prompt now uses the correct name. Comes with Directory Opus 10.1.0.3. Fixed problem with archives below directories with names starting with spaces. Comes with Directory Opus 10.0.5.2. Updated to handle command-line syntax change in WinRAR 4.20 beta 1.
cbr and cb7 extensions are no longer excluded from the Archives filetype group. (You can still remove them manually if you wish, e.g. 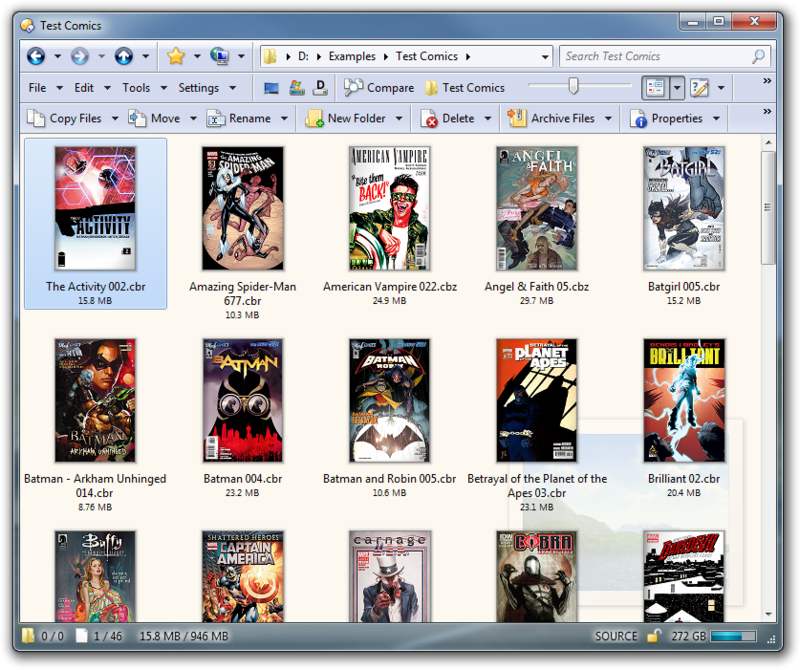 so that double-clicking those formats opens them in a dedicated Comic Book viewer.) If you're upgrading from 10.0.5.0, the extensions will still be excluded and the quickest way to add them is via Preferences / Zip & Other Archives / Archive and VFS Plugins: Turn off the cbr and cb7 types, click Apply, then turn them back on and click Apply again. Fixed problem with Comic-Book Thumbnails not working in libraries. Comes with Directory Opus 10.0.5.1. When deleting files from encrypted RAR archives, the plugin no longer trigers an extra, unncessary password prompt. Improved handling of archive formats with multiple extensions. For example, if you select "moo.tar.gz" and push F2 to rename it, only the "moo" part will be selected by default, not the "moo.tar" part. Comic Book Archive formats (cbz, cbr, cb7) now appear separately in the list of archive plugins, so you can enable or disable them individually. Comic Book Archive formats now get special thumbnail rendering in Opus. Comes with Directory Opus 10.0.4.3. The plugin now handles batch-extraction by itself. This should improve how it handles certain situations and error conditions. Drags from archives handled by the plugin now exclude Move operations for read-only archives (instead of leaving them available and showing an error message if they are attempted). Comes with Directory Opus 10.0.2.1.